A truly memorable anime. This series focuses on the lives of Edward and Alphonse Elric. It also focuses on Alchemy, a mysterious art that works almost by way of magic. It is the art of constructing, reconstructing and deconstructing matter. In order to use Alchemy, you must follow a certain law — in order to gain something you have to sacrifice something of equal value. The art of using Alchemy is known as transmutation. However, there is a taboo among alchemist, human transmutation is forbidden — for what could equal the value of a human life. Knowing all this, Edward and Alphonse attempt human transmutation, and the results are horrifying. Edward almost loses his little brother, but he manages to attach his brother's soul to a large suit of armor. While he did manage to save his brother's life, he paid the terrible price of his limbs. In order to get back what they've lost, the brothers embark on a journey to find the Philosopher's Stone that is said to amplify the powers of an alchemist enormously. There are two series in the Fullmetal Alchemist franchise. Both follow the same synopsis. However, where they differ from each other is in the dept of the story, and how closely they follow the manga. This series aired in October 4, 2003. I don't have much to say about this series because, although I truly enjoyed this series, there isn't much for me to say but how it differs form the later series. It's full of dramatic moments, and has some intense battles, too. The story ends with a movie that follows the end of the series. Basically, Edward ends up in our world, and has to find a way to get back to his world. Also, the way alchemy works differs greatly from the manga. Alchemy in Edward's world is a result of many experiments done in our world. The energy released goes to his world, allowing people to use Alchemy. The series ends in a satisfying (yet confusing) way. This series aired April 6, 2009. This series closely follows the manga, and is in my opinion better than the previous one. It got me into watching more anime series, too. This series is also full of sad, dramatic, and intense moments, but I dare say the story is better. In this series not only do the Elrics need to recover what they've lost, but they also need to stop an evil mastermind from taking over the world. It takes the antagonists from the previous series and makes them a bit more interesting and stronger. You explore Edward's world more deeply in this story. Also, Alchemy's energy comes from the energy produced by the Earth's tectonic plates. Edward goes through some hard moments and you never really know whether to feel sad or happy, because the series constantly changes momentum in a genius way. The final battle is truly epic. It's a great series, and I highly recommend it. Edward is very intelligent — he's an alchemist prodigy. He can also be short headed. He hates it when people call him short, and has a profound hate towards milk. However, once he decides to learn something, he will not sleep for days and will continue his studies relentlessly. Alphonse is the level headed one, always calling out to Edward whenever he's rude to someone. He loves animals, and will often adopt stray animals and house them in his armor. Both are willing to sacrifice each other for each other. They share a bond that can't be broken, and give each other strength. Winry is Edward and Alphonse's childhood friend. She's responsible for giving maintenance to Edward's artificial limbs. She can be too aggressive, but will always be there when the Elrics need her. I highly recommend both series. I hope you give at least one of them a chance, I can guarantee you will enjoy your time. Google has just released the latest stable update to Chrome, version 26, adding in spell checker improvements, desktop shortcuts for multiple users profiles and support for Asynchronous DNS resolver. The major new feature in Chrome 26 is an improved spell checker which now uses Google Search technology to provide grammar, proper nouns, homonyms, and context-sensitive spell checking. This is the same feature which was ported over to Google Docs earlier this year. Plus, it will also spell check real names as well, so you will never misspell Justin Bieber again! Speaking of languages, dictionary support for Korean, Tamil and Albanian is now included. Custom dictionary words will now be synced across all your Chrome devices. Minor changes to user profiles have been made, Windows users can now create desktop shortcuts for each user profile in Chrome. Finally, Asynchronous DNS resolver support has been added for Mac and Linux. Chrome 26 also features a slue of security updates, making your browsing experience even more secure! Out-of-bounds read in URL loader (Cris Neckar). Use-after-free with pop-up windows in extensions (Mustafa Emre Acer). Use-after-free in extension bookmarks API (Mustafa Emre Acer). Ensure isolated web sites run in their own processes. Pony Canyon is also streaming two new television commercials for Devil Survivor 2 The Animation on Wednesday. The commercials feature the opening theme song "Take Your Way" by livetune featuring Fukase (from the band End of the World/Sekai no Owari) and the ending theme song "Trauma / Be" by the Japanese hip-hop group Song Riders. livetune and Fukase's single will ship on June 5, and Song Riders' single will ship on May 22. The producer kz has used Hatsune Miku vocals under his unit name livetune in the past; while he has contributed opening theme songs before, this is his first under the livetune name. Atlus USA released the original Shin Megami Tensei: Devil Survivor Nintendo DS game in June 2009 in North America, and then released the enhanced port titled Shin Megami Tensei: Devil Survivor Overclocked in August 2011. Atlus released the Devil Survivor 2video game in Japan in July 2011, and then Atlus USA released the game in North America in February 2012. Suzuhito Yasuda(Durarara! !, Yozakura Quartet) drew the main character designs for all three games. The second game will be ported to the Nintendo3DS system this summer under the name Devil Survivor 2: Break Code. The original Devil Survivor game also inspired a manga adaptation from Satoru Matsuba (WARASIBE) that launched in Kodansha'sMonthly Shonen Sirius magazine last May. The May issue of Kadokawa Shoten's Asuka Ciel magazine is announcing on Saturday that a second season of the Hakkenden: Eight Dogs of the East television anime series has been green-it. The anime adapts Miyuki Abe's original manga that reimagines the setting from the classic Hakkenden samurai novel as a female-oriented story with supernatural elements. 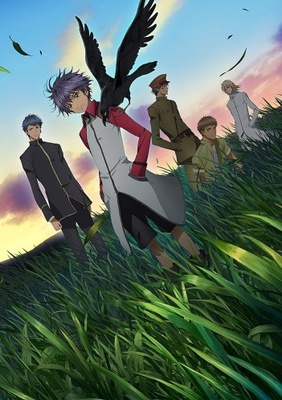 The series stars the voice cast members Tetsuya Kakihara as Shino Inuzuka, Satoshi Hino as Sōsuke Inukawa, Ayahi Takagaki as Hamaji, and Nobuhiko Okamoto as Murasame. Other cast members include Daisuke Namikawa, Hiroshi Kamiya, Shinichiro Miki, Jun'ichi Miyake, Takuma Terashima, and Tomoaki Maeno. 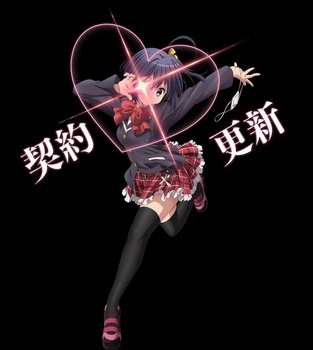 The series premiered in Japan on January 5. Crunchyroll streamed the first season in various countries outside of Japan as it airs, and Sentai Filmworks licensed the first season for North America. So what is Facebook up to now? Facebook is holding some sort of Android related event next Thursday in Menlo Park and has sent out a slew of press invites. Nobody is sure exactly what they have in store, but speculation runs from a better (working) Android application to the rumored HTC Myst Facebook phone. There's also rumor of a "deeply integrated" Facebook experience built into the devices people will want to buy. Zuckerberg has been pretty adamant that building a phone is the wrong way to go, so this is certainly a possibility. We're not sure exactly what to expect, but we know Facebook does things in grand style. We'll know more next week. On March 27, it was revealed that 4-member rock band SPYAIR’s newest song “Niji” will be used as the theme song for the TBS drama “Sennyu Tantei Tokage”, which will begin airing every Thursday at 9PM starting on April 18. 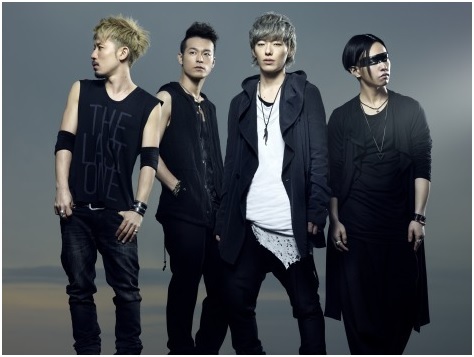 For a little backstory on the band, all of the SPYAIR members are from Aichi Prefecture and they were formed in 2005. In 2009, DJ ENZEL☆ who was a support member, joined the group. Last year, they were handpicked to provide the theme song for the Japanese release of the film “The Amazing Spiderman,” and in December, they performed for the first time ever at the Nippon Budokan in Tokyo. After their performance at the Nippon Budokan, ENZEL☆ left the group. This is the first song they have made as a four-man group and it was written specifically for the drama. The song is a brilliant rock ballad that encourages one to persevere and walk forth even when one is troubled. The group plans on revealing the song on March 31 at Zepp Namba in Osaka.